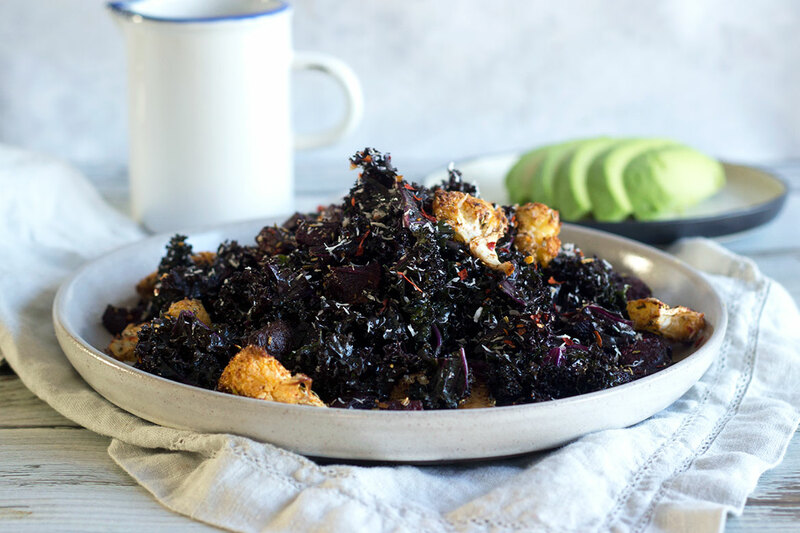 Roasted cauliflower and beetroot, warming spices, desiccated coconut, and purple kale make this winter wonderland kale salad a new staple at my table, especially now with Christmas coming up – I gotta make sure at least one dish is greenish! Don’t turn your nose up now that I’ve suggested a winter kale salad just yet! I know that kale itself has been receiving so much buzz in the past couple years. Some of it deserved, some of it now. I’ve had some plain and boring kale salad, and I’ve had some that have made me eat the whole thing up. Kale salad is not something I grew up loving. I actually know few people who love the stuff from birth, but it really is one of those leafy greens that can seriously grow on you. Eat it plain and it makes me want to shoot myself in the foot. 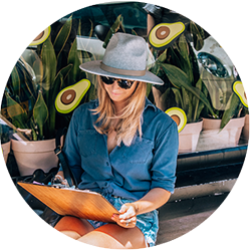 Jazz it up and you’ve got yourself a delicious dish in the form of a kale salad. You can steam it, bake, it, or, in the case of this recipe, massage it. Give it some tender love and care and see it transform from quite a tough leaf into something quite delicious. Preheat your oven to 175ºC | 350ºF and toss together on a baking tray the beetroot, cauliflower, spices, thyme and a good glug of your oil of choice. Bake for 20-25 minutes, tossing once halfway through, until veg can be easily pierced with a fork. Add your torn kale leaves to a large bowl, make the salad dressing by combining all the ingredients, and pour over the kale. Use your hands to massage the dressing into the kale, gently squeezing and tossing until you feel the kale get softer. When veggies are done, toss with the kale and the desiccated coconut, and serve. Hey Buddy!, I found this information for you: "Winter Wonderland Cauliflower, Beetroot & Kale Salad". Here is the website link: https://www.sprinkleofgreen.com/winter-wonderland-kale-salad. Thank you.